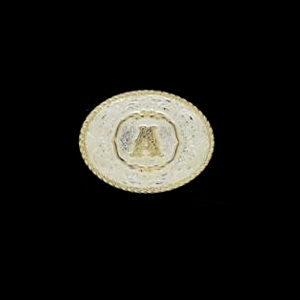 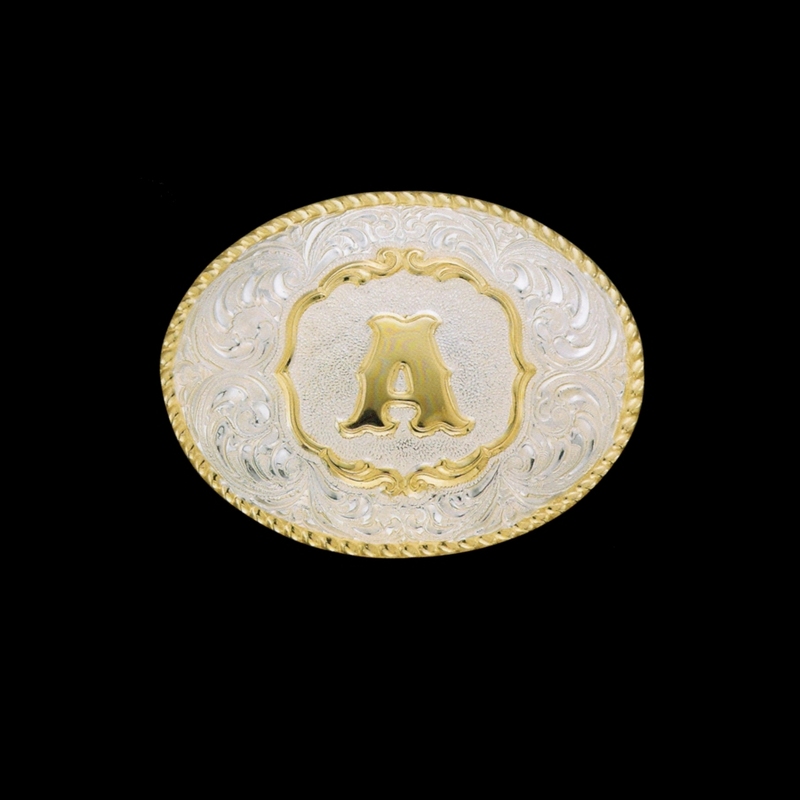 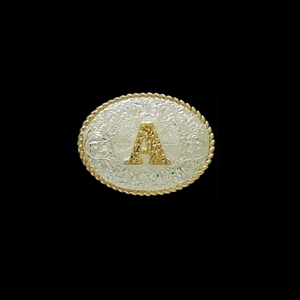 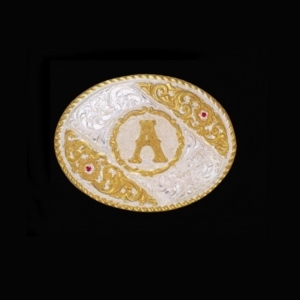 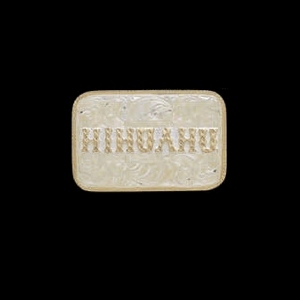 This section features Initial Buckles from Crumrine® Gold & Silversmiths, Nocona Buckles, Western Express and JR Palicios. 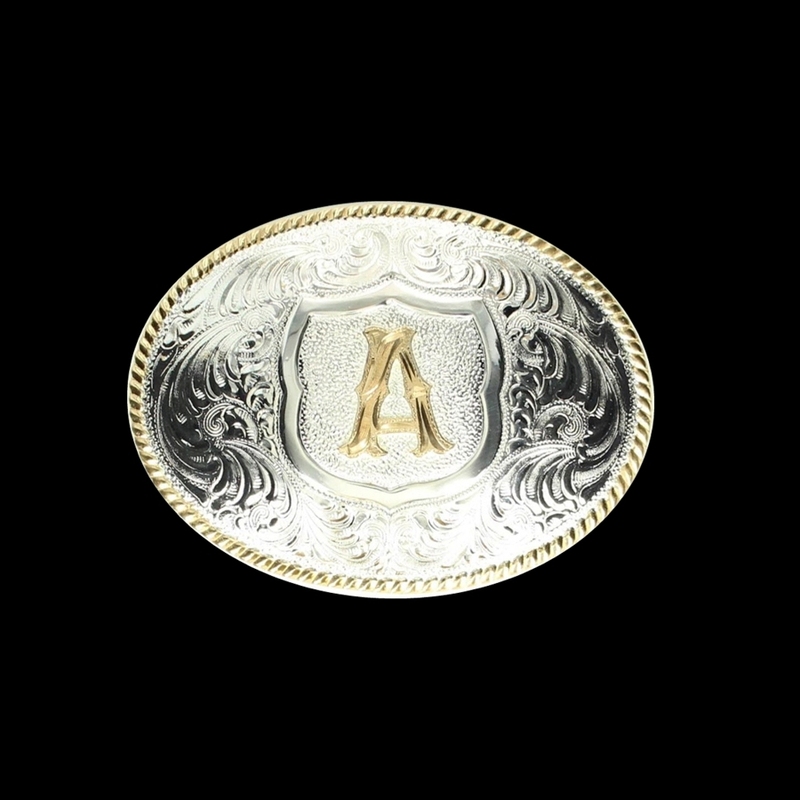 Initial buckles are perfect wedding gifts for groomsmen, father of the bride and father of the groom. 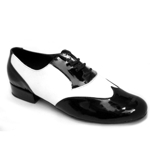 They also make a perfect gift for that special someone. 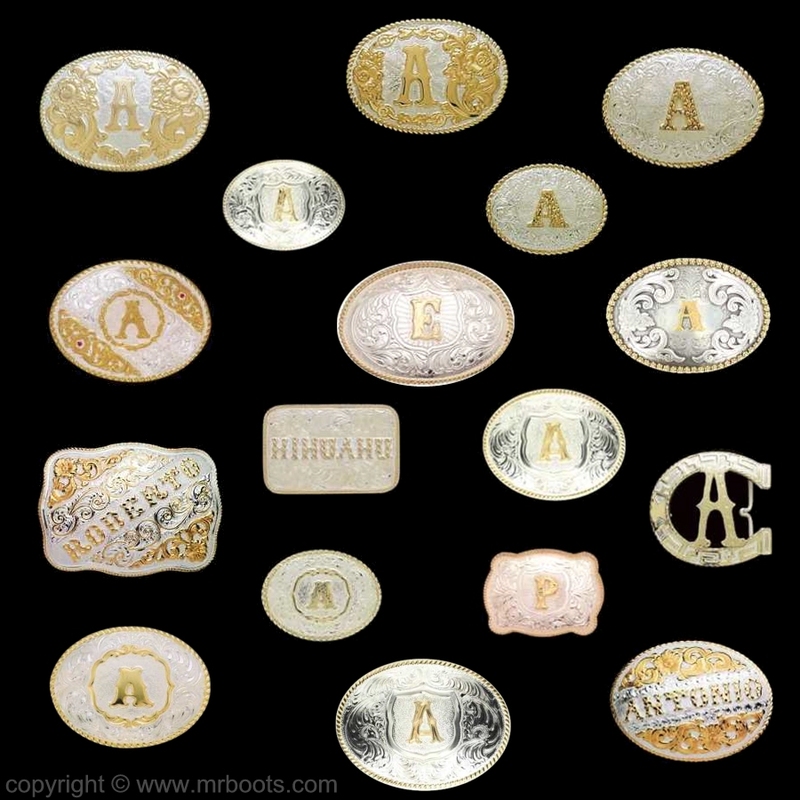 We are always asked what should the initial correspond to, the first letter of you first name or the first letter of your last name? 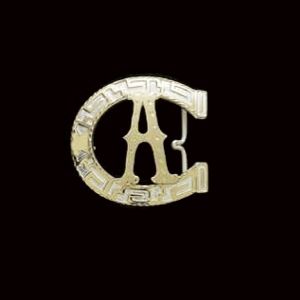 It doesn't matter, either is appropriate. 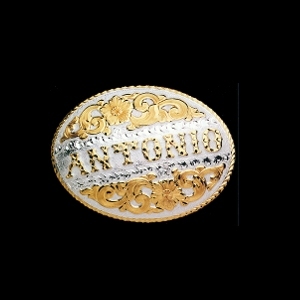 Most men choose the first latter of their last name. 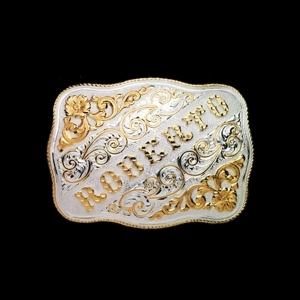 We also have NAME Buckles available. 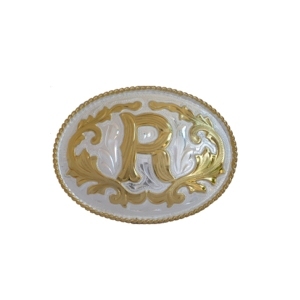 We offer three styles, an Oval style with up to 7 letters or numbers, a Rectangular style with up to 7 letters or characters, and a Rectangular style with up to 8 letters or characters. 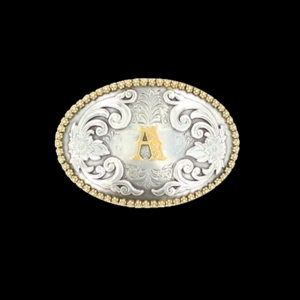 NAME Buckles can be either a first or a last name or a nick name. 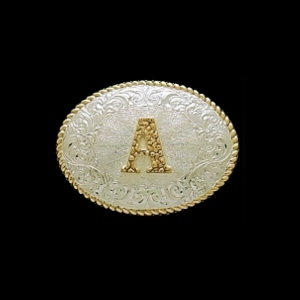 All Capital Letters are used on NAME Buckles. 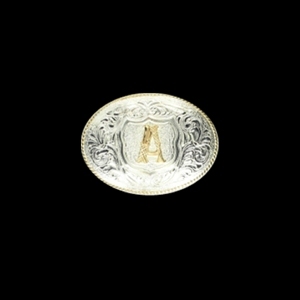 A monogram or the 3 initials corresponding to your First, Middle and Last Name. 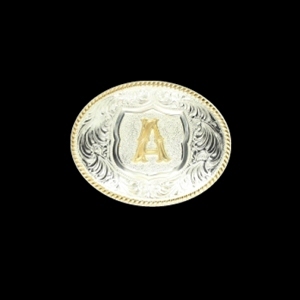 NAME Buckles can also be a phrase such as LOVE, PEACE, CHAMPION, STEELERS to name a few (Please no profanity). 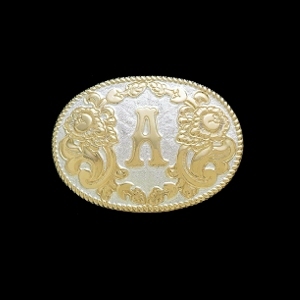 NAME Buckles are custom made so please allow 8-10 weeks for delivery. 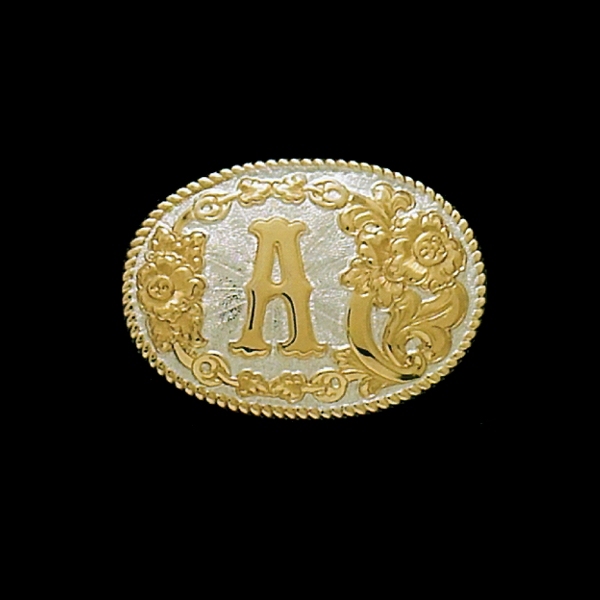 Do you need a Name Buckle with more that 8 Letters? 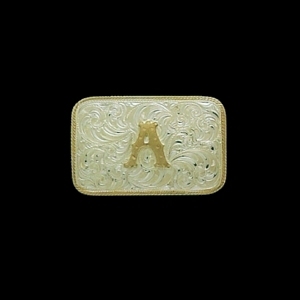 If so, please contact us there are other options available such as the MF-CE0102BL Rectangular Buckle that can be custom made.